SKF NOTE: Revisiting my drummer interviews from the early 1980s reminds me how digital audio is making so much music available at such reasonable prices. Many of the recordings drummer Keith Copeland talks about here were either out-of-print or expensive. Compact Discs (CD’s) were just being introduced. These recordings, when available, were available in vinyl LP format. Today I own all of the titles Keith mentions. At the time of this interview I don’t know if I owned any of them. I had listened to a few of these records. I came across this interview transcript just this week. It was done over dinner at a Centre Island, New York restaurant. I have forgotten the restaurant name. Neither do I remember how this interview came to pass, nor if it was ever published in Modern Drummer. But re-reading it yesterday and today for the first time in about 30 years, I am impressed! Keith and I had a good rapport, both asking very good questions and giving very good answers. Also, Keith mentions the Miles Davis “Four and More” album as including Wayne Shorter. Mr. Shorter is not on that album. The tenor saxophonist is George Coleman. If this interview did appear in Modern Drummer it’s likely those errors from the complete interview transcript were corrected. Scott K Fish: Let’s consider somebody who wants to study the great jazz drummers, but so far his only listening/playing experience has been in rock. He has no idea where to begin. Can you name some key drummers you’d recommend? And also some particular albums? Keith Copeland: I can name some artists who haven’t, to the best of my knowledge, made any bad records. If a person purchases these records he’ll get a good education. But, we have to talk about time periods. If a person is interested in the tradition I’ve been most associated with — Bebop, Post-Bebop, Hard Bop, Mainstream — all those titles having to do with the swing idiom, he’d have to listen to people like Art Blakey and the Jazz Messengers. All those records are good records. There’s some special ones like the early [Blakey] records with Clifford Brown on trumpet [“A Night at Birdland“]. 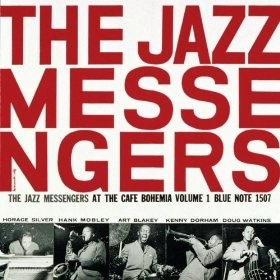 The first Jazz Messengers record I heard was a two-record set recorded in 1955 called “Live at the Cafe Bohemia.” That’s good for starters. There were a couple of Blakey records recorded live at Birdland. There were two other live records in a series by Art: “At the Jazz Corner of the World,” and “Meet You at the Jazz Corner of the World.” Very, very fine records that sound fresh to this day. SF: What about the Art Blakey/Thelonious Monk collaborations? KC: That’s probably some of the most incredible stuff in the world. I probably grew up more on that than anything else. The interaction between Art and Monk is so special. That reaches almost to the level of [John] Coltrane and Elvin [Jones]. I think Art Blakey did the best with Monk out of all the drummers. But I really enjoy listening to Monk with Frankie Dunlop. Frankie did as great as anybody after Art. And I really enjoyed the way Ben Riley played with Monk. 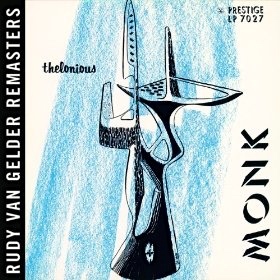 A serious listener should purchase some Monk records to get into some depth. He should listen to all of Duke Ellington‘s records. Horace Silver has never made a bad record. And Cannonball Adderley has made some really fine records. He made a record called “Somethin’ Else” which is a classic. Any of the records that Max Roach made with Clifford Brown are unbelievable. And the Miles Davis records from the ’60s are priceless. 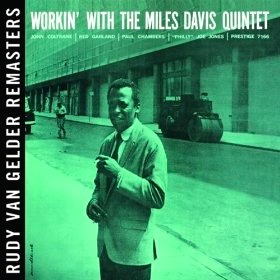 I would definitely recommend a series Miles recorded for Prestige that were originally issued as “Cookin’,” “Workin’,” “Relaxin’,” and “Steamin’” with his quintet [of Philly Joe Jones, John Coltrane, Paul Chambers, and Red Garland]. In a later quintet with Herbie Hancock, Ron Carter, Tony Williams, and Wayne Shorter – Miles made a record called “Four and More.” That’s some of the best work that I’ve ever heard Tony Williams do. These are the records that wouldn’t do anybody any harm if they really wanted to quickly get into what was happening at that time period. From there they’d have to do some research. If you get to that music, then you can understand what came after that. Don’t just start listening to music that was recorded after 1970. Listen to all the Charlie Parker and Lester Young music. That’s very important. That music comes before the music we were just talking about. Then you can get a better grasp of what John Coltrane did. And if you study all of Coltrane’s recorded work, then you’re getting quite a history of the evolvement of the music. This entry was posted in SKF Blog and tagged Art Blakey, Ben Riley, Billy Higgins, Drummer, Frankie Dunlop, Keith Copeland, Miles Davis, Scott K Fish, Thelonious Monk, Tony Williams. Bookmark the permalink. This is a great interview and insightful list for all jazz drummers, even though the conversation occurred in the early 1980s’. 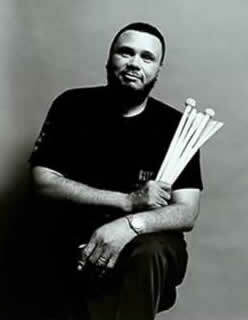 Drummer Keith Copeland passed away in February – RIP.